April 3rd, 2018.- Since the second half of 2016, Spain has been suffering a severe drought. However, the rainfall registered in recent weeks has resulted in an increase of the water reservoirs used for hydroelectric generation. 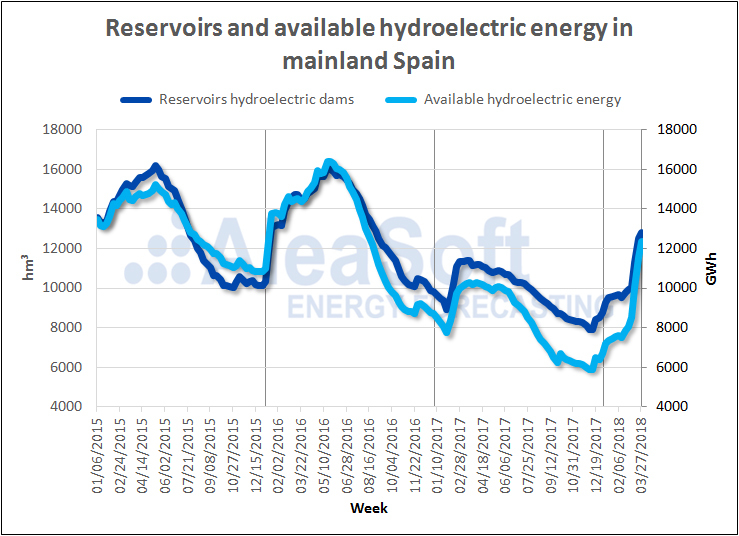 According to the Weekly Hydrological Bulletin by the Spanish Ministry of the Environment, Farming, Fishing and Food, published on March 27th, the reservoirs volume in hydroelectric dams in mainland Spain reached 12 791 hm3, 15.1% higher than the volume on March 28th, 2017, and at the level of reservoirs before the drought period. The current estimated hydroelectric energy, theoretical maximum available energy, is 12 336 GWh, 21.4% higher than the available energy on March 28th, 2017. Sources: Spanish Ministry of the Environment, Farming, Fishing and Food. During the drought period, the hydroelectric energy production was clearly lower than previous seasons. In 2017, the hydroelectric energy production was 49.1% lower than 2016. 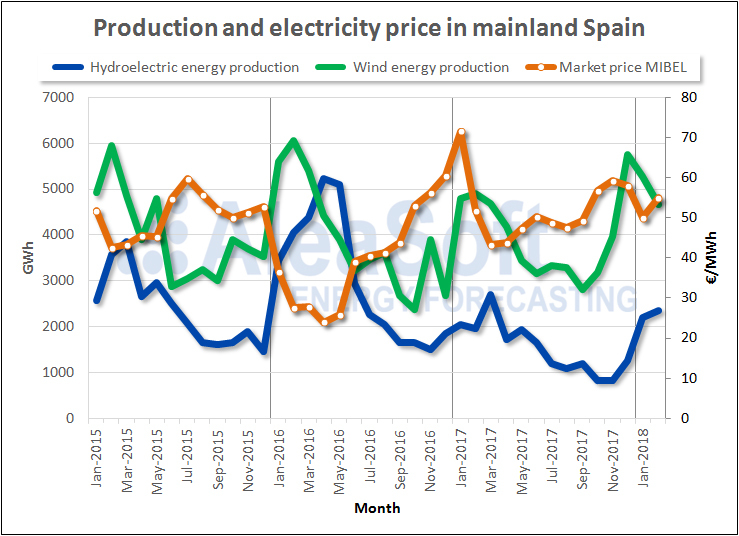 The low hydroelectric energy production had an impact on the electricity price in the Iberian wholesale market MIBEL. The average price in the market in 2017 was 31.8% higher than the average price in 2016. 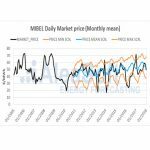 Although there are many more factors that impact the electricity market price, the hydroelectric energy, due to its large inertia, is one key factor in the determination of the price at the midterm range. Another key factor is the wind energy, which, during 2017, did not help to mitigate the effects of the drought and to avoid the price rise, because, during most of 2017, it was at lower levels than 2016. 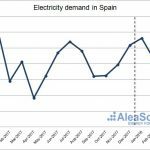 Sources: Red Eléctrica de España (REE) and Operador del Mercado Ibérico-Polo Español (OMIE).